The Samoan culture is the oldest Polynesian Culture, and has existed for nearly 3,000 years. Although there have been many decades of European and Western influences, Samoans have continued to maintain their older customs, language, and government ways. Samoans are happy, good-natured people, and are known for their detailed tattoos that span from their arms, down to their feet. The tattooing is traditionally a rite of passage for young boys into adulthood, and is done with a cutting tool, a mallet, and ink made from candlenut shells. Because it is done without any anesthesia, this process is extremely painful, but in the end creates a detailed tattoo which is heavily filled in . Women may also have tattoos extending from their waists to their feet, although their tattoos tend to be smaller and thinner .Samoan culture can easily be divided into three related parts: Family, music, and faith. Family is one of the most important aspects of Samoan life, as families and extended families all tend to live and work together. There are often up to 20 people living in one house or Fale at a time . Elders hold the highest status amongst families, and are looked to and counselled with to make family decisions. Younger adults and children are socially required to serve their elders, and give them the proper respect. In return for their service and respect, these younger adults and children are protected and take part in the family honor . In fact, the Elders are the ones responsible for teaching the children their culture and traditions to be passed down from generation to generation. Children are responsible to observe their Elders, and learn from their ways. When children are punished, they are not told why, but are expected to figure it out on their own . The Samoan values and norms are very much centered on their cultural beliefs. The most distinguished and contributing factor to their norms is the family. The head of the family is the one person who makes all family decisions. They are the most respected, and commonly teach the younger generations about their history, and their duties in the family . The head of the family also controls the family land. Family land in Samoa is completely governed by the owning family, with no Government intervention. It is therefore the responsibility of the head of the family to divide the land and see that it is taken care of. It is considered bad luck and dishonor to sell or part with family land. When it comes time for the head of the household to pass on or retire, a new head is appointed. While many cultures pass titles from eldest to eldest, the Samoan culture awards head of household to the family member they feel will serve the family the best . The Samoans have many ceremonies celebrating different life events. While the details vary from ceremony to ceremony, the basic rituals remain the same. One example of consistency between rituals is the ‘ava drink, which is made for Samoan ceremonies. It is a great honor to be in charge of making the drink for a ceremony. The seating patterns also stay the same from ceremony to ceremony, with the heads of house and chiefs sitting in seats of esteem . A Fale is the common house seen in Samoa. The Fales have no walls to emphasize openness, family, respect, and togetherness. The covers of the Fale are made from coconut leaves, woven together into sheets. Families and extended families often reside together in one Fale, and it is not uncommon to see 20 people living in a Fale at one time . The Samoan attire is made up of a skirt for men and women, and a tunic for the women. The skirts are known as “lava-lava,” and are often worn to ceremonies and formal occasions. While worn daily in early years, in more modern times men and women are seen wearing more contemporary clothing, but the lava-lava is still worn on special occasions . Tattoos are also common to see on both men and women in Samoan society . The Samoan people are very tradition oriented, and are very immersed in social hierarchies, customs, and traditions that have contributed to their way of life for hundreds of years . In fact, “Fa’asamoa” is a commonly used Samoan word, meaning the way of our ancestors. Fa’asamoa is still influencing Samoan life today. The Samoan people identify themselves through their ancestors, and therefore, any changes to their traditional way of life are treated with suspicion, and are often seen as “unnationalistic.” Western ideas and influences pose the greatest challenge to the Samoan traditions, as new generations are being influenced through the internet, books, and other sources. One of the most commonly known Samoan traditions is family hierarchy. At the head of each family is an Elder or Matai, the leader with the highest rank and authority. The Elder is in charge of making family decisions, and governing the family land . Money, food, and resources are distributed on a needs basis by the Matai. Honor and status are two responsibilities shared by the entire family, as what one person does reflects on the whole family. It is the job of the Elder to represent the family, ensure all customs are properly observed, and to provide justice when needed . As the Elder nears end of life, he chooses he successor, who then becomes the Elder when he dies. Another tradition that is still around today is that of status. In Samoa, possessions do not matter as much as status. Status is determined by family history, and is shown by simple things like whose house has the highest roof in the village, and how much taller it is than another family. Another symbol of status and wealth is how many or how big the fine mats of the family are. These mats can take months to even years of work to complete. For many years, the mats were actually used for money because their value was so high . Samoan traditions and customs are passed down through poems, stories, and genealogies from Elder to Elder and from Elder to family . Other common Samoan traditions are symbolic tattoos, dancing, singing, playing music, big celebrations, and being religious . The predominant religion in Samoa is Christianity, although it was not always that way. Before the influence of Christian missionaries in 1830, the Samoans practiced their traditional religion which was nothing like Christianity. In the traditional religion, the Samoans worshipped both human and non-human Gods. Because they had very few outward expressions of their religion, they were seen as simply having no religion. In 1830, two Christian missionaries from the London Missionary Society arrived in Samoa and introduced Christianity. With the help of the Samoan Chief Malietoa, they were quickly able to spread Christianity, and convert the island two years later. From then on, Christianity became the predominant religion of Samoa. Every village in Samoa has at least one church, and the leader of that church lives in the biggest, most elaborate house in the village. The leader’s lifestyle is directly funded by the people in the village. It is very important for the people of Samoa to give money to the village church, and there are strict guidelines on how they must do it. They attend church at least once a week on Sundays, if not more often . The breakdown of religious groups in Samoa is as follows: 32% Congregational Christian, 19% Roman Catholic, 15% Mormon, 8% Assemblies of God, and 14% Methodists, and 4% Seventh - day Adventist. Jehovah’s Witnesses, Congregational Church of Jesus, Nasarene, nondenominational Protestant, Baptist, Worship Centre, Peace Chapel, Samoa Evangelism, Elim church and Anglican make up the last 5% of religious groups . Although the Samoan constitution protects religious freedoms, Samoan leaders tend to emphasize the country as Christian, and any non-Christian religions are talked about negatively . Although Samoa has no official declared religion, it would seem the Christian religion is preferred. The Samoan government observes Good Friday, Easter Monday, White Monday, and Christmas as religious and national holidays . Understanding Samoan sense of self and space is crucial to understanding the Samoan people. As stated in a study done by Bush, Collings, Tamasese, & Waldegrave in 2005, “Human identity is at the heart and soul of our endeavours. The challenge is to understand cultural identity as a keystone for healing, for living, and eventually for dying” . The Samoan people have a relational self, meaning only existing in relationship with others. Although their self consists of spiritual, mental, and physical elements, they cannot be separated. They find their sense of belonging, wholeness, and uniqueness from their family, country, language, ancestors, and their village . This may be the reason why family honor is so important. In the study conducted by Bush, et al., in 2005, they found that Samoan sense of self can be divided into four different categories: individual, spiritual, holistic, and universal. The first category was discovered through a survey given to the Samoan people, which found that although the Samoan people identified themselves as individuals, participants considered family history and the collective identity of their family part of self. They often stated that who they are was a result of their ancestors. For example, one participant stated “I define myself in terms of my relationship with you or with her or whatever” . The spiritual nature of Samoan sense of self was shown through how often the Samoan participants stressed how spirituality was personally important. They felt that secular concepts and spiritual concepts went hand in hand, and explained each other. The study also found that Samoans feel that they are naturally holistic, or well-rounded and complete. Finally, the study found that the Samoan people are Universalist, and see themselves as the same as others around the world. They believe that the “psyche” is the same from person to person, no matter what race or cultural background they come from. Overall, Samoan people tend to focus on “we” rather than “I.” They see themselves and who they are in relation to others, and to the past . Samoan communication is very formal and respectful. The Samoan people talk to please, and therefore will often tell you what they think you want to hear rather than the truth. Communication can range from being vague to being direct, often depending on the subject . Elite Samoan individuals are not talked about in public, except properly by other elite individuals. Children are taught from a young age how to communicate appropriately and accurately. Speaking correctly and saying the right things are two important skills to know in order to get along with others, and advance in Samoan society. Common subjects to hear being discussed are household activities, fishing, gossip, and day to day life. Important genealogies, myths, and land titles are discussed only in select groups, to highly qualified individuals. Disclosure of these topics to those outside of the group can lead to heavy penalties, including banishment, confiscations, and in the older day’s death . The official language of Samoa is Samoan, although English is widely used in business and is commonly spoken. Samoan the oldest form of Polynesian and the most widely known. It is spoken in both Samoa and American Samoa. Samoan is very similar to other Polynesian languages, which has lead scholars to believe that the Polynesian languages began somewhere in the Tongan-Samoan area, and spread out from there sometime within the last 2,500 years . The Samoan language has 17 letters: A E I O U F G L M N P S T V H K R . The Samoan language lacks consonants, and has a high use of vowels which have long and short forms. The Samoan language also used particles, which are comparable to English prepositions, articles, or conjunctions. It is estimated that around 370,000 people can speak Samoan around the world, mostly in Samoa, but also in New Zealand . Samoan culture marks every major and sometimes minor life events with a feast, also having a feast every Sunday for lunch. Lunch is technically not a meal, and dinner is the biggest meal of the day, with Samoans waking up early in the morning in order to get it ready in time for church . The normal Samoan diet consists of local and also imported foods. Their diet staples include fish, shell fish, chicken, pork, lettuce, cabbage, root vegetables, breadfruit and coconut. Their imported foods are often rice, canned meat and fish, butter, jam, tea, bread, and honey . Common Samoan meals include roasted chicken, vegetable soups, barbecue, and fresh fish. Samoan cooking is simple, usually using the same ingredients for different dishes. Coconut cream is commonly used to cook rolls, yams, potatoes, and meats . McDonalds is a common restaurant to find the Samoan people eating at as well, although it is only eaten by the tourists and the elite. Sharing food is a fundamental part of Samoan culture. Whether it is at family meals, or at a wedding, special meals are made by larger portions of food, and with longer preparation times. Special meals are commonly seen with more delicacies, and formality. Tourists often remark on the cooked whole pigs which are the center for special meals, along with barrels of salted beef. A special drink called Kava is also commonly prepared. It is made from the root of the Piper plant . Another common drink to see in Samoa is known as Koko Samoa. It is such an integral part of Samoan life, that the cocoa plant is actually protected by Samoan Law. It is made from the cocoa beans of the Samoan cocoa plant, a plant which has no traces of bitterness in it. It is drunk at all times in the day, especially in the mornings . In Samoa, Samoans tend to have a lax view of time when it comes to social situations or gatherings. It is not unusual to show up late, and it is often joked that Samoans have their own Samoan time. However, in regards to business occasions, punctuality is strongly valued. It is extremely unusual for someone to show up late to a business meeting . More recent news in relation to Samoa’s time zone, Samoa and the neighboring island of Tokelau skipped a day in June in order to jump across the International Date Line to be in sync with New Zealand and Australia, along with its other Asian partners. A time change similar to this was made in 1892 when the Samoan government was persuaded by America to change their time to match that of the United States. This recent time change will place Samoa only 3 hours ahead of Australia, instead of 21 hours behind it. The prime minister of Samoa stated that this change would make it much simpler to do business with Australia and New Zealand, as before two days of the week were wasted as Saturday in Samoa were Sundays in Australia and New Zealand and Sundays were Mondays. As Samoa’s economy becomes more and more dependent and linked to that of New Zealand, Australia, China, and Singapore, it makes complete sense on why they would like to sync their business days with theirs. 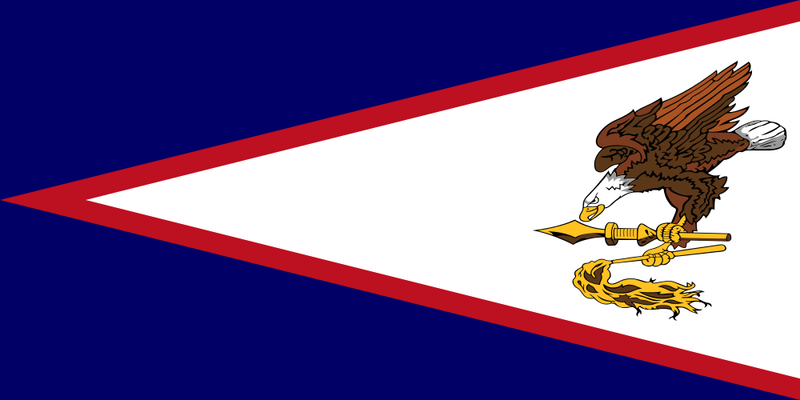 This change however, was only made in Western Samoa, as American Samoa reminded synced with the United States of America. The Samoan prime minister has insisted that this date change was made solely due to economic purposes, and was not made for any other reasons . The most important relationship and social block in Samoa is the family. In fact, the social organization of Samoa is built around the family . Each village in Samoa consists of a number of families, and sometimes even just one big family. The leaders of these families, or the Elders, make up the village council, and make all decisions in regards to the village. In individual families, family members rely on the Elder for decisions and survival. The Elders are the ones who also decide punishments in times of repercussion. It is the Elders job to make these family decisions, distribute family resources to members and to govern what is done with the family land. Marriages are approved and sometimes even arranged by the Elders. It is the responsibility of the family members to follow through with the commands from the Elders . Although succession is often passed from eldest son to eldest son, the Elder is free to choose his successor based on opinion, need, and family reputation . Family honor and status is one of the most foundational principles of social organization. In Samoa, material possessions and wealth do not matter as much as familial status and honor, and therefore, anything done to dishonor the family may lead to major repercussions and even banishment for family members because what one family member does is a reflection of the entire extended family. House sizes and heights are determined by family status; the higher the roof, the higher up in society the family .Familiar bonds and relationships are long-lasting in Samoa. Many extended family members take in and help other family members in times of need, even if they are distant cousins. Many Samoan people depend on external help from family members in other countries in order to survive . The Samoan school system is divided into four parts: primary school, secondary school, vocational school, and tertiary school. The Samoan Department of Education has a well-organized teaching program which is taught in public schools. All teachers are required to have a Samoan Teachers’ Certificate in order to be allowed to teach . Primary school begins at age 6 in grade 1, and ends around age 13 in grade 8. Secondary school begins at age 14 in grade 9, and ends at age 18 in grade 12 . Classes usually have around 24 students to every teacher, depending on the village. Both English and Samoan are taught, following a bilingual educational system. Although the schools themselves and the teaching methods may seem out of date, the Samoan literacy rate is over 97%. Secondary Schools in Samoa are called Colleges, while higher educational facilities are called Universities. The most well-known secondary school in Samoa is known as Samoa College. The Samoa College, located in Apia, was founded in 1953 by the Samoan people who believed that education lead to self-government. Their goal was to educate the Samoan people on how to prepare themselves for every field of life. Students who graduate from Samoa College are guaranteed good jobs, and many of the present leaders of Samoa have graduated from Samoa College . Samoa as two universities: the National University of Samoa, and the University of the South Pacific School of Agriculture. The National University of Samoa is located in Apia, Samoa’s capital. It was founded in 1984, built for Samoa by the Japanese, with 50 students in the first class. Today, the University has more than 2000 students. The university now offers more than 60 courses, awarding certificates, degrees, and post graduate programs in areas ranging from arts to business. The University of the South Pacific has degrees or certificates in agriculture, research, and technology . The Samoan workforce is comprised of about 90,000 people. The country of Samoa has been dependent on aid from other countries, and or family members overseas. The money that is not sent to Samoa from overseas is made from Samoan agriculture and fishing. Farming provides jobs for about two-thirds of Samoa’s work forces, and makes up about 90% of Samoan exports. Exported goods include coconut products, bananas, cocoa, yams, and coffee. 65% of the Samoan work force works in farming jobs . The minimum wage in Samoa is $2 tala per hour in the private sector, and $2.40 tala in the public sector. The Samoan Government has demanded that this be the minimum amount of money a Samoan worker can be paid an hour for their work . Samoan age groups all have different working duties. Samoan men are most likely employed in trade jobs like operating machines, or putting together machines. Samoan women are more likely to be employed in “white collar” jobs such as secretaries, sales workers, and service workers . Young men work on plantations, prepare meals for the family, and fight in times of war . Young women often help take care of children and perform household tasks. Statistics have shown that men are more likely to be employed than women in Samoa . Interesting Fact: Back in the time when the Germans had dominion over Samoa, the Germans were continually frustrated with the Samoan work force . Not only were the Samoans reluctant to work for the Germans on their plantations because there was little or no perceived benefits for them, but the Samoans did not like to work during the raining season, but instead prefer to stay indoors . Eventually, the Germans imported groups of workers from China to work their plantations. After World War II, the Germans left Samoa, although many Chinese stayed. That is why many will see mixtures of Samoan and Chinese lineage living in Samoa today . The high prevalence of Rheumatic Heart Disease (RHD) in Samoan children. RHD often presents as a fever and a sore throat, diagnosed as strept throat . In order for strept throat to progress to RHD, three factors must be present: group A strept infection, susceptible host, and an abnormal immune response to the infection by the host. Literature reviewed by Marijon, et al. showed having a family history of RHD increased an individual’s risk of developing the disease nearly five times when compared to an individual who did not have a family history. The disease process of RHD begins when an immune response is initiated against the group A streptococcus bacteria. The antibodies meant to mark bacterial cell proteins for destruction, begin to bind to human heart proteins, due to their similarities. The antibodies attached to the human heart activate an inappropriate T-cell response, causing the T-cells to launch an autoimmune response against the cardiac tissue. This immune response most often causes mitral valve lesions, leading to mitral valve incompetence. Clinical diagnosis is based upon hearing mitral and other valve murmurs upon auscultation. Echocardiography is then used to determine the cause of these murmurs. Over time, untreated murmurs progress into valvular disease, and eventually RHD . Because RHD often begins with a sore throat and is asymptomatic, many children develop RHD disease at a young age in Samoa. Surprisingly, RHD is easily preventable, as strept throat is easily treated. Penicillin is the proven antidote to streptococcal infections. Children who do not receive penicillin, and who develop RHD, are often asymptomatic until surgical intervention is required. Children in Samoa who are diagnosed with RHD requiring surgical intervention need to be flown to New Zealand for the required surgery, a costly burden on both the family and the government of Samoa. Children who are lucky enough to be diagnosed with early RHD or acute rheumatic fever (ARF) can be given penicillin to prevent progression of the disease, and cure early stages . The use of traditional Samoan medicine which is still relied on heavily in Samoa. The Samoan people will still often seek traditional treatment before seeking treatment from Western medicine for a number of reasons: easier access, less expensive, and suspicion of non-Samoan people . Tamasese K., Peteru C., Waldegrave C., Bush A. (2005). Ole Taeao Afua,the new morning: a qualitative investigation into Samoan perspectives on mental health and culturally appropriate services. Australian and New Zealand Journal of Psychiatry, 39, 300–309. Allen, L. B., Allen, M., Lesa, P. F., Richardson, G. E., & Eggett, D. L. (2011). Rheumatic Fever in Samoa: Education As Prevention. Pacific Health Dialog, 17(1), 107-117. Marijon, E. M., Mirabel, M., Celemajer, D. S., & Jouven, X. (2012). Rheumatic heart disease. The Lancet, 379(9812), 953-964. Norris, P., Fa’alau, F., Va’ai, C., Churchward, M., & Arroll, B. (2009). Navigating Between Illness Paradigms: Treatment Seeking by Samoan People in Samoa and New Zealand. Qualitative Health Research, 19(10), 1466-1475. Holmes, L. (1980). Cults, cargo and Christianity: Samoan responses to western religion. Missiology, 8(4). 471-487. doi: 10.1177/009182968000800410.